Google Inc; made its foray into the market for bundled Internet and television services with promising access speeds more than 100 times faster than traditional US cable and telecommunications. The search engine giant will start its ultra high speed internet service Google Fiber in Kansas city, Missouri. Installations will be deployed in Kansas from September 2012 and later Google hope to roll out its services to other cities later. After building the infrastructure using fiber optic communication in July 2012, Google announced its pricing and plans. Google fiber service will have 3 options - Free internet for 7 years, 1 Gbps Internet and a version that includes television service. With HD ready TV Box you can get access to Live TV, on-demand shows and internet content. You can extend your access all over your home with integrated Wi-Fi, Bluetooth and Ethernet port. Fully compatible with HDMI, component or composite video outputs for TV or stereo and optical S/PDIF for audio. Access Google Fiber all over your home by connecting to one of the four Ethernet ports or through 802.11a/b/g/n Wi-Fi and stay safe with Gigabit firewall. Storage box comes with a 2 TB capacity and with this you never miss a show or you can record upto 500 hours of HD content. The content can be accessible from any of your devices over your home network. 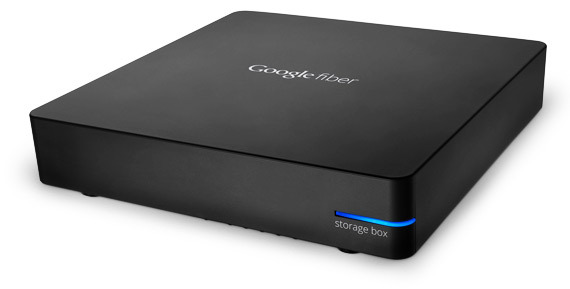 Tags: Google Fiber, About Google Fiber, Pricing, Infrastructure, Google Fiber plans and Pricing, installation cost, free internet, videos, Ads, 1 Gbps internet, high speed internet, technology, TV box, network box, storage box, Kansas city, register for Google fiber, How to get Google fiber connection, 100 times the faster internet, 100 times the possibilities, Google Fiber - The Internet next chapter starts here.